"Of all the gifts that a King can give, it is not the gift of gold, nor the gift of land, nor the gift of cows which is important, but the gift of Security”- Panchatantra A committee of top police officials has suggested that the Indian Coast Guard (ICG) should be brought under the Union home ministry from the ministry of defence (MOD) to strengthen coastal security that suffers from funds crunch and multiplicity of agencies manning the 7,516-km coastline. The committee said when the idea of Coast Guard was conceived it was proposed to be placed under the MHA and not the MoD. The intra-agencies synergy is lacking. The overlapping of jurisdiction often leads to coordination problems and delayed response. As of now, 15 agencies are involved in protecting maritime security. No single agency has the capability to simultaneously patrol both land and sea adequately and physically dominate coastline to prevent intrusion. The shift to MHA would also help empower ICG and overcome limited capabilities to operate on land and shallow waters and augment its intelligence gathering mechanism. The inability of the IN and ICG to function in shallow water was a major weakness which needed a serious review. Will lead to optimal allocation of resources. ICG should be empowered and handed over, the entire responsibility to prevent intrusion from sea route. It should be allowed to guard onshore and offshore installations. Bringing ICG under the MHA would result in better coordination with central agencies such as IB, R&AW, BSF, NCB and state police. The committee also suggested the need to have a committed intelligence setup for coastline since information generated remains many times with different agencies and does not get passed on. Many problems include maintenance of jetties, funding and training of personnel, streamlining and beefing up of the security infrastructure along the sea route which was breached twice to unleash terror in the country - first in 1993 Mumbai bomb blasts and next when militants in 2008 laid siege to the financial capital of the country. We should not overstate the threat of terrorist attack from the sea. The home ministry has already bitten more than it can chew & should focus on the porous Indo Bangla Desh border, rather than add more to its responsibilities. The MHA should establish an operational command & control at New Delhi as the Director General Military Operations for better management of Bangla Desh, Nepal borders, Bhutan, Pakistan border. 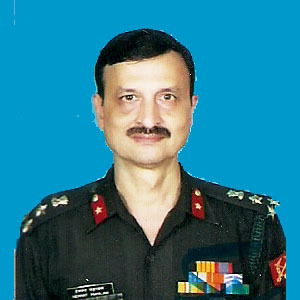 The Central Armed Police Forces(CAPF) under the home ministry are headed by the Indian Police Service officers who join the force only as senior officers over which there is a lot of unease within the CAPF cadre officers as they stagnate at middle ranks due to lack of promotional opportunities. This reduces operational efficiencies. Against the backdrop of suggestion that the ICG be brought under the home ministry, the MOD has already been rejected the proposal. 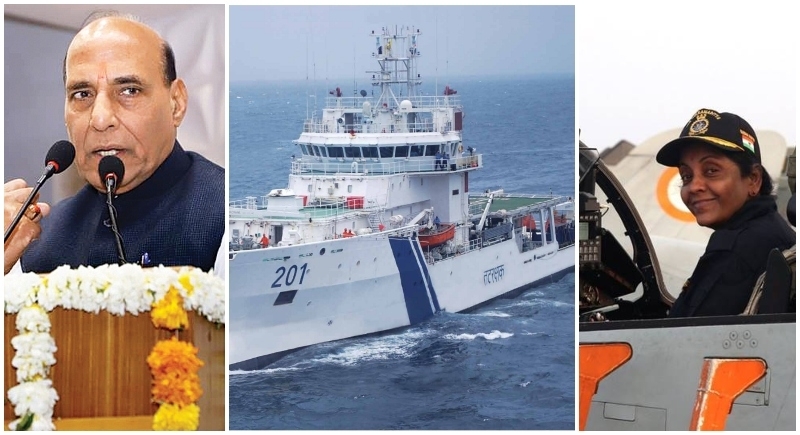 The MOD had stated that as the fourth armed force of the country, the ICG was engaged in several other operations, including the protection and guarding of Exclusive Economic Zone, searching and boarding of suspected vessels in sea and pollution control operations in and around the country’s sea boundaries. The defence ministry had also cited the need for a better coordination between the IN and the ICG both under it for coastal security. The ICG has been performing diplomatic roles for the country as it engages with global coast guards and plays an important role in defence ties with countries such as Japan and South Korea. The force has also been playing an important role in checking the use of the sea for smuggling of narcotics and use of sea route by terrorists on the Pakistan border as it recently caught a haul of drugs worth over `3,500 crores off the Gujarat coast and prevented a suspected terror boat from entering Indian waters. The right command & control, therefore, is ICG-IN-HQ Integrated Defence Staff-Chief Of Defence Staff. In fact, manning of all international borders should be under the MOD. Instead of creating new organizations we should strengthen the existing one. The IN & the ICG should take over important job of training the police, other organizations & the fishermen community on all aspects of coastal security. The Sunderban marshy land is a safe haven for Inter-Services Intelligence Agency of Pakistan(ISI) agents both because of difficult terrain and votes bank politics of the state government. They must be kept under constant surveillance. The ICG which has its presence in the area does not have the mandate to patrol the creeks of the Sunderbans as they lie inside the shoreline and these form part of internal waters Relaxed patrolling and surveillance of the coastal waters during the rainy season also raises security concerns. Sunderban vulnerabilities must be overcome on priority. The IN must take a lead. The IN & the ICG should be force structured properly so as secure the Sunderbans, Palk Bay & Sir Creek in Runn of Kutch which has shallow waters. MARCOS could be deployed there to nab anti-nationals. They should carry out intelligence-based operations to stop illegal trade & smuggling. Monitoring the movements of thousands of fishermen and their fishing boats/trawlers which venture into the sea every day is essential to ensure foolproof security of India’s coastal areas. In addition to the six monthly exercises, the one-time thorough check has to be carried out by the security forces lead by the ICG to physically check of all suspicious fishing vessels. All fishermen’s documents must also be linked up to Adhar cards. National Automatic Identification System(NAIS) will be helpful in tracing only those vessels fitted with AIS transponders and not the fishing vessels. Logistic support to red terror through the east coast is already taking place. We need to develop intelligence to counter them. The crossing of International Maritime Boundary Line by fishermen is a serious problem and has to be stopped by the IN, ICG & Police. Drug smuggling across the oceans is being carried out regularly. International and intelligence cooperation, along with detection equipment is the answer. Pakistan, Bangladesh Coast Line act as launch pad maritime terror attacks, smuggling, illegal trade, infiltration of Bangladeshi citizens etc. So “Regional Maritime Security Initiative” is a must. These include the "right of hot pursuit particularly in Shi Lanka, Bangla Desh, Myanmar waters, intelligence sharing etc, I could be the lead agency. Intelligence is the first line of defence in coastal security. To be fore-warned is to be fore-armed—is a universally accepted truism The lack of adequate intelligence in effectively combating illegal trade, illicit trade, gun-running, Smuggling of gold, narcotics, and other items continues on the coast but we are unable to get actionable intelligence to stop it. The ISI has established anti-India espionage, subversive and saboteurs networks in Sri Lanka, Bangladesh, Myanmar, Middle East, etc. Intelligence encirclement of India is being attempted to facilitate launching of a multi-pronged covert offensive. Collaborative networking with the underworld, gun runners, drug syndicates, currency counterfeiters, hawala operators, border couriers, etc. is being used to enhance their covert capability to destabilize India. Intelligence encirclement of India will have to be broken by offensive means. It would be ideal to create a National Academy of Maritime & Coastal Intelligence as a platform to train state and central agencies in intelligence statecraft and also to look at impending threats and challenges to coastal, maritime security. This could be run by Military Intelligence/Defence Intelligence Agency. All these measures are part of defensive strategies. India has to move beyond fortress mentality to take on terrorism/ anti-Indian activities at its source. A comprehensive approach that relies on lateral thinking and goes beyond conventional methods is urgently required. The basic premise for any counter-terrorism policy for India should be zero tolerance. The ISI and Pakistan Army, in particular, is actively involved in aiding and abetting various fault lines in the Indian society. The need of the hour is joint manship between IN, ICG, Police, Intelligence agencies and various Government ministries. The glass is more than half full but we still have miles to go to achieve full proof coastal security.